If adults find life akin to a box of chocolates, perhaps childhood is a bit like a toy box. Colourful, interesting, intriguing and above all, fun. 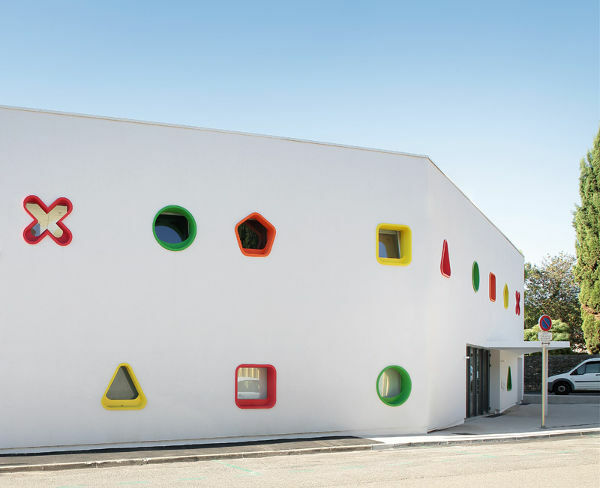 A lot like this incredibly unique French childcare centre. 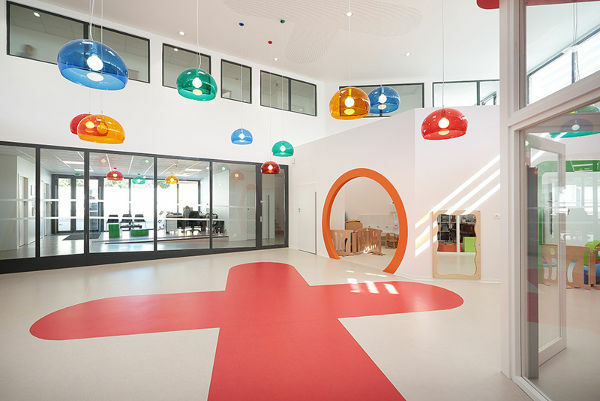 La Maison de la Petite Enfance is located in Lodève, France, and was created to give children a warm welcome when spending time in care. 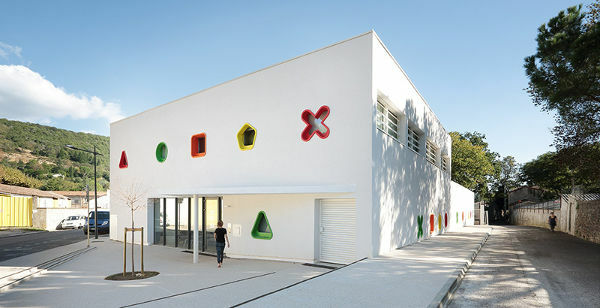 Designed by A+Architecture, the primary colours and familiar shapes used in shape sorters and toys box appear everywhere – from the exterior, to the ceilings, windows and even the doorways. It envelopes a beautiful atrium, and a small amphitheatre, with activity rooms strewn throughout the building. 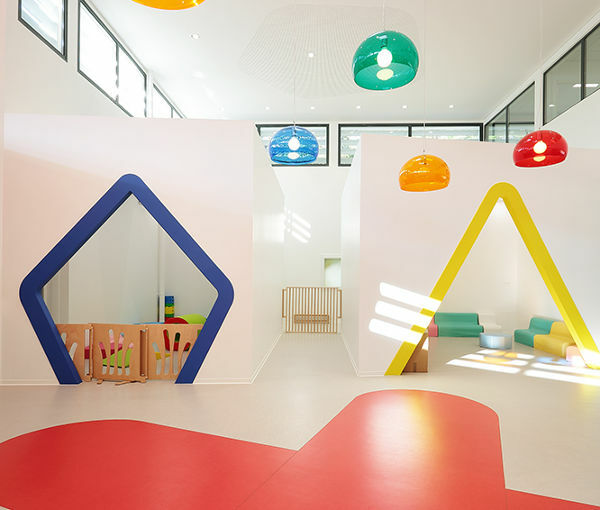 It creates an interesting environment for children to learn and play, while balanced with a calm serene feel, thanks to great swathes of stark white. The architects aimed to create a building that is like home and family friendly – and it certainly meets the brief. So what do you think, Babyologists? Do you love it? 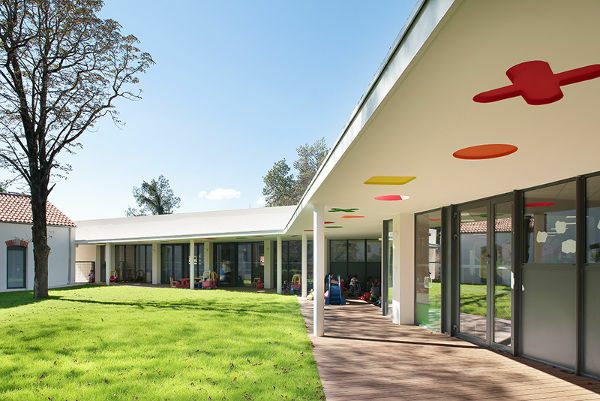 How does it compare to the childcare centre that your children attend?